Details about Brass Camel figurine, 5 1/2 inches long,4 1/2 inches tall! Beautifully engraved! 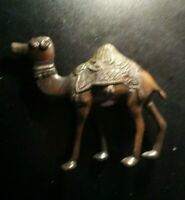 Brass Camel figurine, 5 1/2 inches long,4 1/2 inches tall! Beautifully engraved!